One of the Russian built reactors is automatically going into shut down mode too often and a turbine threw a blade taking it out of service for at least two months. Problems of all kinds with Russian supplied equipment at the Kudankulam power station (KNPP), home to twin 1000 MW VVER type light water reactors, have raised safety fears according to a university study. The report states, replying on plant data, that Unit 1 of the two unit installation, has an effective shut down rate equal to 21 times in 7000 hours of operation. That’s about ten months or a rate of less than one automatic shutdown once a month. Sources of the problems include irregular operation of the turbines and burst pipes in the feedwater system. The Hindu newspaper reported on Oct 20 that the main turbine for Unit 1 was taken offline on September 13 and that subsequent reports indicate that a blade in the turbine broke off embedding itself in the turbine housing. The Economic Times newspaper reported October 28 that a replacement blade would be fabricated by an Indian firm. In the meantime, plant engineers will take a turbine blade from Unit 2 and use it on Unit 1. It will take about two months to restart Unit 1. The KNPP is installed with AES-92 (or V-466 model), the latest version of the third generation VVER-1000, that offers greater safety and longer lifespan, about 60 years. According to a profile of the KNPP, Atomstroyexport is the main vendor and is responsible for the technical design, construction supervision, technical support for reactor commissioning, as well as for training the operation and maintenance staff of the plant. It is also responsible for supplying the equipment and materials for the KNPP including the turbines. Bharat Heavy Electricals is responsible for setting up the machines at the plant. NPCIL takes care of construction, erection and commissioning of the plant. Work began on the twin reactors in 2002, but was quickly halted due to protests which lasted nearly two years. Assuming Rosatom orders long lead time items well ahead of when they are needed, the turbines that were commissioned with the plant in 2013 may have been designed as much as a decade earlier. The same time line may be relevant for other parts of the plants although not the main reactor components themselves. Reliability of the balance of equipment may be a factor of its age, based on date of manufacturing, which could mean continued issues with overall. According to a timeline from NPCIL the turbines (above ) were installed at KNPP by India’s Larsen & Tubro, Ltd. in 2008. Given the two year time frame to manufacture and deliver them, it is likely some of the components were ready for start of assembly in 2006. These dates suggest design work would have been completed by 2004 or earlier. 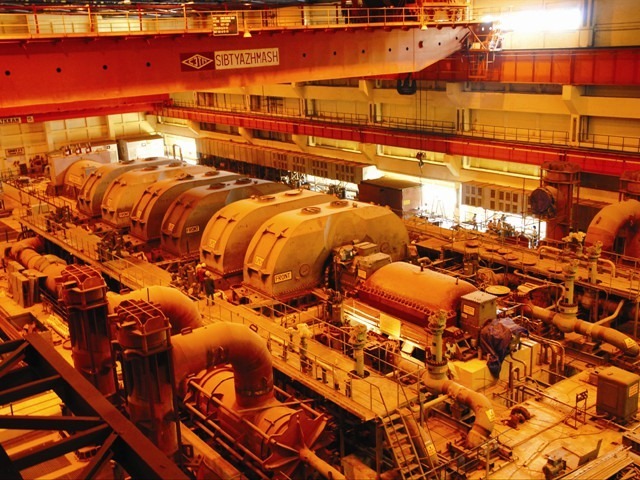 The polar crane, which has also been responsible for operational issues at KNPP Unit 1 was commissioned in 2007, six years prior to the time power was finally supplied to the grid from the reactor. For its part the Nuclear Power Corporation of India Ltd (NPCIL) which owns and operates the reactor, has repeatedly said the plant is safe. India’s political establishment actually quelled a lot of the protests in 2011 and 2012 with two tactics. First, NPCIL offered the regional governor the power to allocate 50% of the power from the two reactors to local customers. In the power-starved region of Tamil Nadu in extreme southern India, this was real patronage. Second, India ferociously deported a number of so-called NGO leaders, including several Greenpeace organizers from Germany, who were helping locals organized the opposition. Paradoxically, the same regional political leaders who got the franchise to allocate the power in the province are now in jail on unrelated corruption charges. 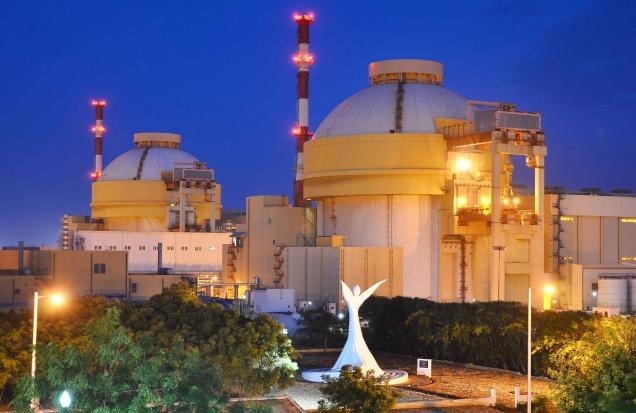 The start of fission process in the second Russian supplied 1000 MW VVER unit at Kudankulam has been postponed to March 2015, the Nuclear Power Corporation of India Ltd. (NPCIL) said on November 1. This entry was posted in kudankulam, Nuclear, VVER. Bookmark the permalink. Pingback: Can Russia Afford Its Reactor Exports?